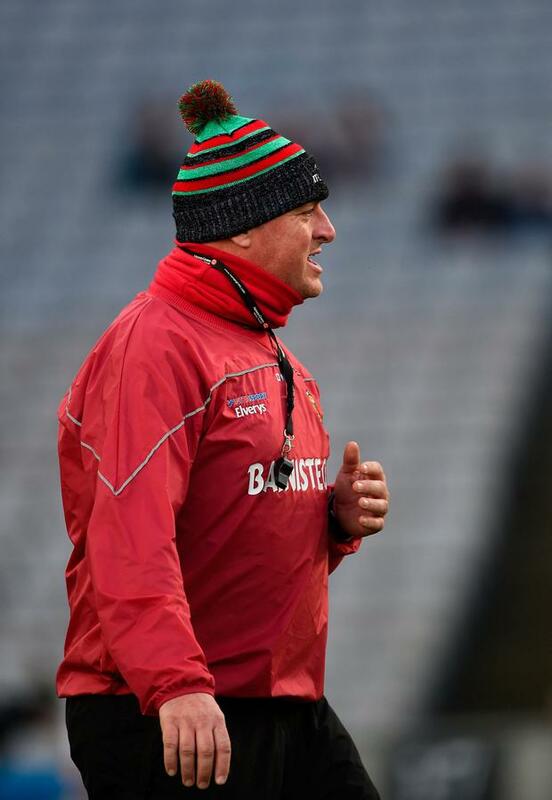 Mayo manager Peter Leahy insisted his side have not gone away after they pushed league and TG4 All-Ireland champions Dublin close at Croke Park. With Rachel Kearns and Fiona Doherty on song, Mayo fired three early goals against Dublin, but Mick Bohan's side registered a strong second half to kick on to the win. "We had six or seven players who were making their Mayo debuts on the soil that is Croke Park. That's exciting for those players and it's exciting for the county. But it's going to take time. Mayo are not finished. We have not gone away. We are still there fighting away," said Leahy. "We didn't finish as well as we could," said Bohan. "Yet I felt once we settled, we took a grip on the game." Donegal maintained their perfect start to their campaign as the Ulster champions soared to victory over Monaghan in Letterkenny yesterday. Róisín Friel's early goal saw Donegal lead 1-8 to 0-2 at half-time. Midway through the second half, Julie Trearty drilled in a second Donegal goal, and manager Maxi Curran was pleased. "We kicked 1-8 on the bounce and that was the winning of the game for us," said Curran. Galway have also started the season brightly - as goals from Róisín Leonard, Tracey Leonard and Aoife Thompson gave them a third straight victory at Clonberne. Goals from Anna Jones and Annie Dolan gave Westmeath hope, but the home side dominated. At Páirc Uí Rinn on Saturday, Aishling Moloney did the big damage with a 2-9 haul, but debutant Caitlin Kennedy fired the winner as Tipperary shocked last year's All-Ireland finalists, Cork. Elsewhere in Division 2, Armagh are still unbeaten, as two goals from Aimee Mackin and a third from Blaithín Mackin saw them claim a 3-14 to 1-8 victory against Waterford. Wexford inflicted a second loss of the campaign on last year's TG4 intermediate champions Tyrone, a 1-7 to 0-6 victory, while Cavan also earned their first win of the Lidl NFL as they surged past Clare in the closing stages. And in yesterday's game, Kerry fired six goals past Laois to earn their first win of the season. In Division 3 there were wins for Meath over Roscommon, for Sligo away to Down and for Wicklow, who hosted Kildare. Offaly are still looking for their first win of the season after they had to be satisfied with a share of the spoils against Longford. In Division 4, Antrim hit five goals in victory against Kilkenny, while Limerick picked up the win after their trip to Fermanagh. Yesterday, Carlow were too strong for Derry, while Louth edged past Leitrim. Colm Keys VAR (Video Assistant Referee) is not flawless, as last Wednesday night's memorable Champions League quarter-final at the Etihad Stadium perfectly illustrated.